Library News | Discover Upgrade: What’s New? In Discover, you can now lock the filters on the right hand side of the page. This ensures that the filter remains persistent during your search session, even if you start a new search. You can now search for articles within a journal directly from Discover. After finding the journal title you are interested in, click to view the full journal details. 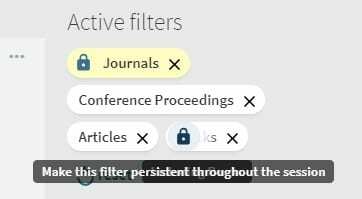 You will then be presented with the below search box which you can use to find specific articles from the journal you may be interested in. The search will open in a new window. 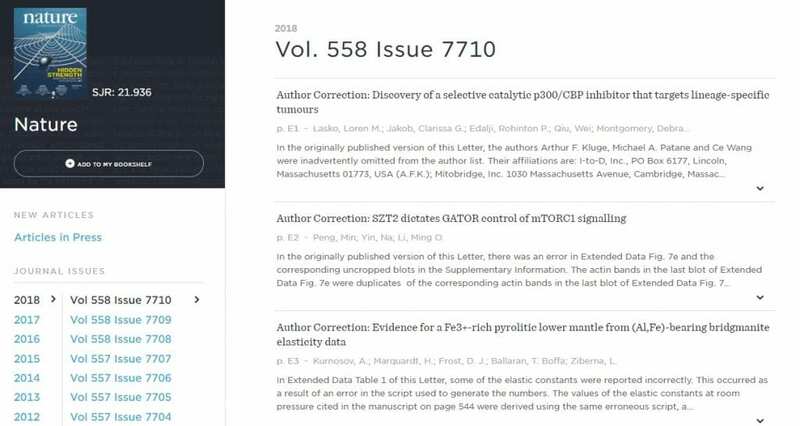 There is now an even easier way to view the issues of a journal you are interested in. When searching for journal titles in Discover, you will see a new link that says “View Journal Contents”. If you click on this a new window will open directing you to BrowZine. In BrowZine you will be able to search through all the volumes and issues of the journal that the library has access to. You can now find Open Access content more easily in Discover search. The orange Open Access padlock icon will appear next to any articles, journals or books where you don’t need a domain username and password to use the resource. Find out what people are saying about journal articles by viewing the Altmetrics. You may find this when clicking on an articles details page. 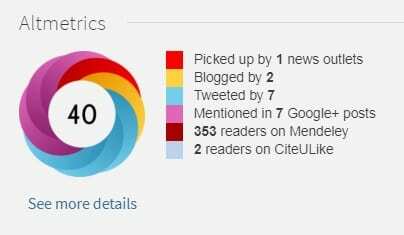 Clicking “see more details” will open a new window containing further information about the Altmetrics. When using Discover you can now search the Library shelves online, from wherever you are. When looking at print books in Discover you can use our new Browse Shelf function. This will let you see what other books are on the same shelf in the Library, check their availability and where on the shelf to find them. When looking at print book titles you may see our new function, About the Author. This will give you a small biography of the author, as well as any other books by them we may have in the library. 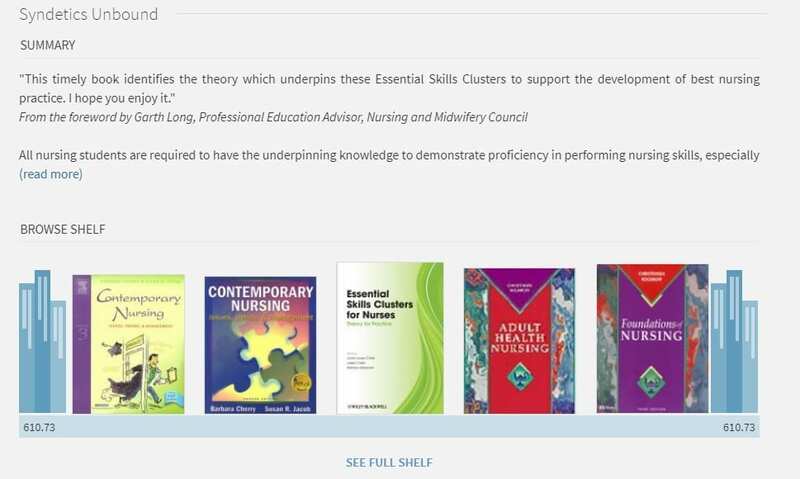 Find any essential or further reading that is assigned to your courses by clicking on the Resource Lists tab at the top of the page. We have made it even easier to search the GCU theses and dissertation collection. Now, when you use Discover, you can use the drop down box at the end of the search bar to search within our theses collection.